I’m very grateful and thankful for the life and health I have and I remind myself on a pretty regular basis of what I’m thankful for. It keeps me grounded and clear headed and the more I remind myself of what I’m thankful for, the more at peace I am with myself. Last year I stumbled upon this journal at the bookstore and bought it thinking I was going to give it away as a gift. Fortunately for me, Ryan never gave the gift for me and let it sit in his drawer for like 5 months before I, exasperated, took it and decided to use it myself . 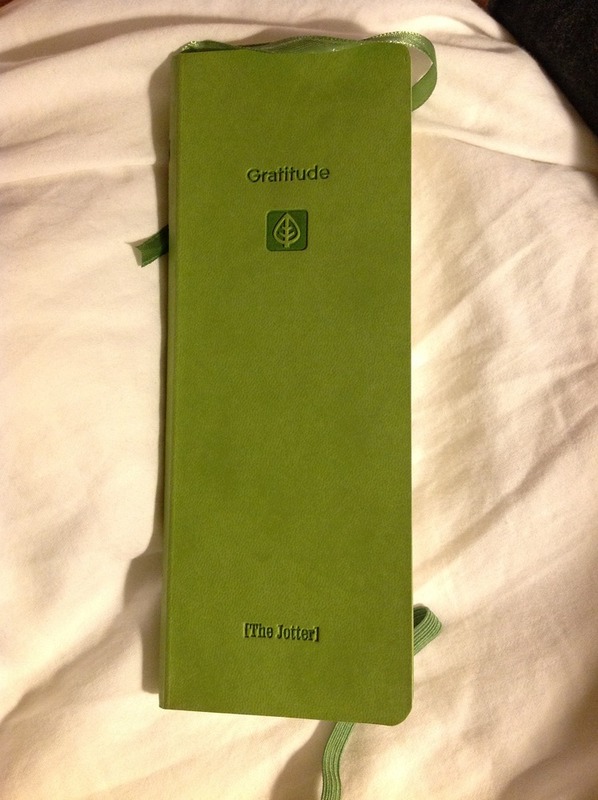 The book is a jotter for listing things you are thankful for on a daily basis. I didn’t actually start writing in it until I was in my darkest moments. In the happiest of times we sometimes forget about the things we are grateful and in the worst of times we can fail to see what we should be grateful for. I found this journal especially helpful for my darkest moments because despite having a bad day or a stressful experience, I still had a list of things to be thankful for. I’ve filled the pages enough to reflect back on my book of gratitude and noticed 2 things that stood out in them: my gratitude for my relationships with my friends and Ryan, and my gratitude for my health (despite feeling terrible sometimes I somehow still knew I was in a condition that was far greater than what could have been). I’ve been feeling pretty under the weather these past few days and came upon this book again so started to jot in it again. I’m going to make a promise to write in it more regularly, especially during my good days. I hope it’ll inspire you to keep a diary of your own to see what a profound impact a little bit of daily gratitude can do for you.